Richard Askwith has been a journalist for more than 35 years. He has written five previous books, including an evocative biography of Emil Zátopek, Today We Die A Little, which was shortlisted in the Cross Sports Book Awards. This marked his first foray into the world of Czechoslovak sport. His first book, Feet in the Clouds, won Best New Writer at the British Sports Book Awards and the Bill Rollinson Prize for Landscape and Tradition. It was also shortlisted for the William Hill and Boardman Tasker prizes. 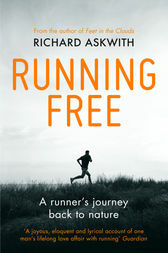 His 2014 book, Running Free, was shortlisted for the Thwaites-Wainwright Prize.